Top 5™ is an IMPACT grease with very tacky properties. It has excellent adhesion to metal, even under extreme water wash out conditions and high temperature. TOP 5™ is a high performance grease for heavy industry, transport, mining, quarry, construction, golf and ski machinery and diamond drill rods. 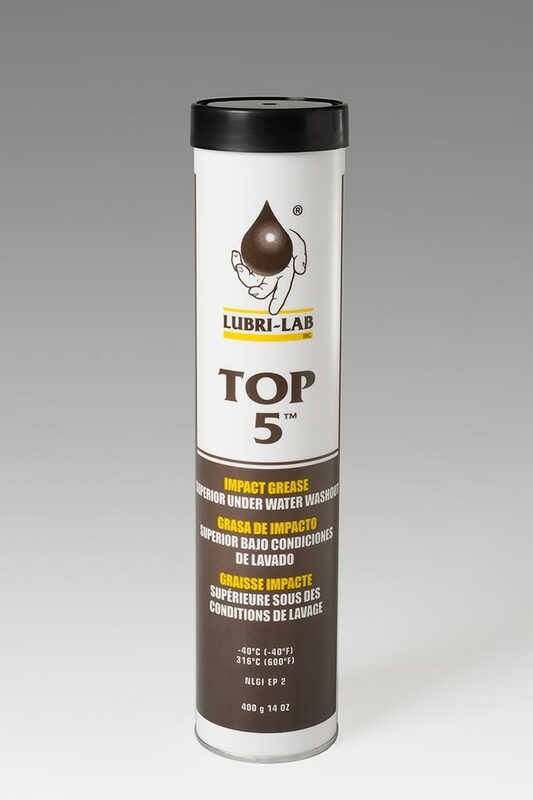 TOP 5™ is resistant to very high specific surface pressure, thus ensuring excellent wear protection. It is also resistant to corrosion, water and many diluted alkaline and acid solutions.